Need a break? Cancel your Timely subscription at any time. Circumstances changes and you might need a break from time tracking. We totally understand! 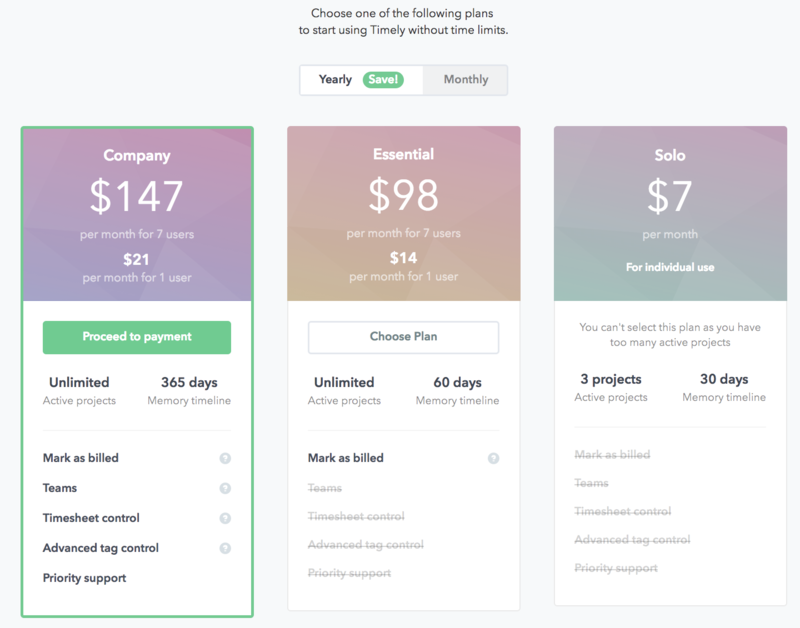 You can cancel your Timely subscription at any time, then pick up your data - Clients, Projects, Logged Activity - when you're ready to track time again. Admin users can cancel the account subscription on the 'Subscriptions' tab in Settings. Scroll down past the Payment History section to find the 'Cancel Subscription' button. You'll be prompted to complete an exit survey. Your feedback is essential for helping us improve Timely and we really appreciate your time. After submitting your feedback, click on the 'Proceed with cancellation' button to cancel and delete your account. Confirm your cancellation - or go back if you've changed your mind - and you're all set! I canceled my subscription but I can still log into Timely. Why? When you cancel your subscription, your data remains in Timely so you can come back and track time again at a later date. Follow these steps to delete your account and permanently remove your data. Why can I still track time and log hours after cancelling my subscription? When you cancel, you can continue to use your account for the remainder of the period you have paid for. At the end of your billing period, your subscription will not renew (you will not be charged), and your account will be deactivated. I'm ready to track time again. How can I reactivate my subscription? 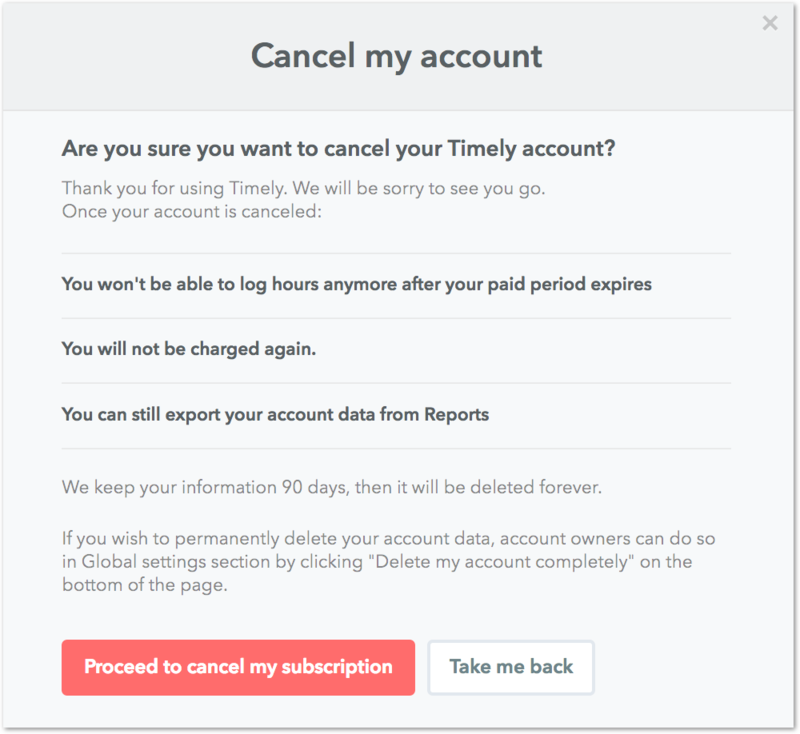 Once your ready to track time with Timely again, log into your account with the same username and password then head to Settings > Subscriptions tab. Select a plan and set up payments to reactivate your account at any time.